PLAY THURSDAY KICKBALL IN CHARLOTTE IN WEST UPTOWN! Be active, have fun and make friends! Join us and relive your childhood glory days of playing everyone's favorite sport: Kickball in Charlotte! It's a kids game, but we mix in the best of being an adult: a fun social atmosphere at our sponsor bar before and after games! No experience is necessary: just arrive with a smile, a great attitude and an uncontrollable desire for having a blast! Games are played on Thursdays at Clanton Park in west Uptown*. Games start at 6:30 p.m., 7:30 p.m. and 8:30 p.m. and run about 45 minutes. This league fills up FAST, so grab your friends and register now! Games start on Thursday, September 20th. A tentative rainout week is scheduled for November 15th. This is a coed social kickball league with an emphasis on social. This is NOT a competitive league. We're here to have fun & make friends! Players can join as Free Agents, small groups or teams. If you don't have a team or group, you can still play. Just join as a Free Agent and we'll place you on a fun team. Minimum on field is 5 men and 5 women, with a max of 11 players on the field. Games are up to 7 innings. Substitute players are not allowed. Please see our comprehensive Charlotte kickball rules (updated September 2018). Join us on Facebook, Twitter and Meetup to keep up to date on everything. We have 6 regular season games scheduled, 2 weeks of playoffs, and 1 backup rainout week (if needed). The number of teams in playoffs may vary. Because of weather, playoffs may need to be moved to a different day (but usually not). Each player gets a player t-shirt. We provide all officials and equipment. We also cover the costs of park/field permits (if applicable), parties, prizes, free movie screenings and more. Post-game happy hours are at our sponsor bar after games each week. Our sponsor bar this season is Flight Beer Garden & Music Hall (in Uptown, see a Google Map). 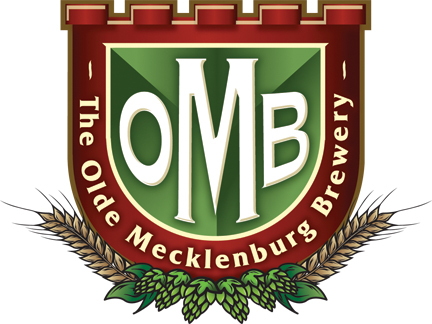 Our sponsor BEER is the ever-delicious Olde Mecklenburg Brewery. Flight is offering $3.00 drafts of 3 OMB varieties: Copper, Captain Jack and Hornet's Nest. They're also offering half-price craft beer to us on Thursdays. We've got a raffle! Each week after games, players are rewarded with a raffle ticket for each purchase of our sponsor beer. Write your team name on the back of the ticket and hand it over to the NAKID rep on site. We'll have two raffles each evening, each for a $25 Flight gift certificate. No live bands. Flight has agreed to not have any live bands at the bar when we're there each week, so you can chat away the night with all of your best friends! Parking. Parking at Hearst Tower will be validated at Flight. All teams must be open to accepting Free Agents and/or small groups. Teams with less than the minimum number of players (18) may be merged with another team and/or have Free Agents assigned to their team. T-shirt delivery is aimed for the 2nd week of games. People who join late will not receive a t-shirt. Captains are needed to organize and rally their teams, and distribute t-shirts to players. Captains play for FREE if their team hits the minimum number of players by the end of the early bird pricing. We reach out to Captains from time to time to help us make decisions for teams. From time to time, teams may be assigned to provide volunteers to referee games. The number of volunteers and frequency depends on the number of teams in the league. If teams don't provide volunteers to ref, they may not be eligible for playoffs. Want to play for free? Become a referee! Contact us at charlotte@playnakid.com for more details. All players must be 21 years old or older, have health insurance and agree to our terms and conditions. Disrespectful and/or unsportsmanlike conduct will be dealt with swiftly and firmly. * Game location is subject to change based on permits, park availability, etc. *** Team roster sizes are built to reduce the risk of forfeits. All times/dates/locations are subject to change. Check out this Kickball league 'Thursday Kickball (West Uptown)' with NAKID Charlotte!